Buy ModernGoldfish a Coffee. ko-fi.com/moderngoldfish - Ko-fi ❤️ Where creators get paid by fans, with a 'Buy Me a Coffee' button. We are makers. We are probably best known for our wizard wands but we make many different types of art. "Art inspired by literature" is our mission statement. "We rise by lifting others." is our motto. The donations given here help us teach others how to do what we do and to inspire the next generation of makers. On a more personal level, we are also humanists, an industrial designer, a sewing and art instructor, an interactive media instructor, a secular wedding officiant, a woodworker, a painter, an illustrator, a wife and a husband, a father, a mother, sister, daughter, son, friend, budding minimalists, science fanatics, readers, gamers, animal lovers, chicken owners, and wannabe master gardeners. Secured Payments. Support goes to ModernGoldfish's account. 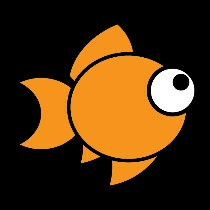 Upgrade ModernGoldfish to a yearly Gold Membership with a one-time payment.